Across the world, an increasing number of young children are learning to read in languages different from their mother tongue, and there is a clear need for a book which addresses the ways in which these children should be taught. Eve Gregory's book is unique in doing so. 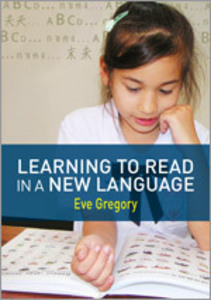 Building upon the ideas proposed in Making Sense of a New World, this second edition widens its scope, arguing for the limitations of policies designed for 'monolingual minds' in favour of methodologies which put plurilingualism at the centre of literacy tuition. 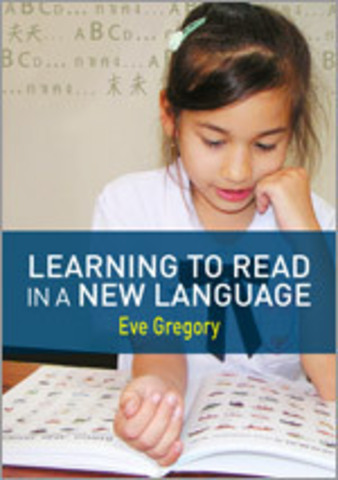 This book offers a practical reading programme -- an 'Inside-Out' (starting from experience) and 'Outside-In' (starting from literature) approach to teaching which can be used with individuals, small groups and whole classes. It uses current sociocultural theory, while drawing on examples of children from America, Australia, Britain, China, France, Singapore, South Africa and Thailand who are engaged in learning to read nursery rhymes and songs, storybooks, letters, the Bible and the Qur'an as well as school texts, in languages they do not speak fluently. Gregory argues that, in order for literacy tuition to be successful, reading must make sense -- children must feel part of a community of readers. There is no common method which they use to learn, but rather a shared aim to which they aspire: making sense of a new world through new words.